I would like to help spread a rumor. It seems to be from a pretty reliable source, but I don’t know for sure and I don’t have a time frame for it either. Rumors are rampant here in the Philippines, so don’t take any of this to be gospel. It’s hard to know what to believe and what was just conjured up in someone’s mind, but it’s definitely nice to dream until you find out for sure what exactly is going on. 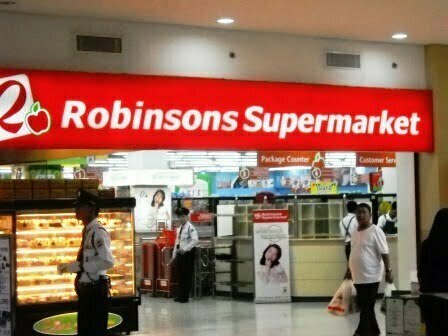 What I heard is that Robinson Mall is still going to be built, even though the Gaisano Mall is now being built downtown. It seems that land negotiations have hindered Robinson Mall from being erected on the proposed location, so they have decided to change locations. From what I heard, the mall will be built along Maharlika highway not too far down the road from where our house is. It will still be in barangay Rawis, as it was suppose to be before, but now it’s proposed only about 1/4 mile from our house, and the Ciriaco Hotel. Actually that could be a smart move business wise, but I’m wondering if Calbayog City is large enough to handle 2 malls. 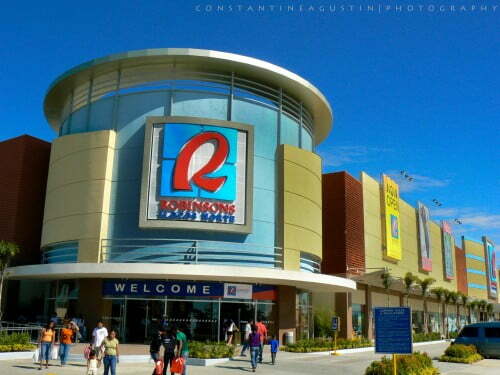 Maybe 2 malls will just make Calbayog City larger. That’s something that I’m not so fond of happening. Of course it would be nice to have a wider variety of the western style products, which is certain to come with the malls and other things that are planned for this area. It would not be worth it to me to have these things and still live in the area where I am. If they are going to build a mall only about a quarter of a mile away and with the largest hotel on the island right across the street, it most likely will start getting crowded with businesses around here. We moved here to get away from the hustle and bustle, we sure don’t want it to follow us here. The only ‘good’ thing I can see from all the businesses sprouting up here is that the property prices will rise. That is good of course for people wanting to sell. Most likely we would be one of the people trying to sell. Yes, I think we would sell for the right price and being directly across from the Ciriaco should only improve the value. Of course if we were in the enterprising mood we could try to make a go of a business instead. I can’t see that happening though. We are here to retire, so getting back into a full fledged job would only be defeating that purpose. I would ask too much for the property and hope that someone wanted it desperate enough to buy. With the money we would buy another plot of land and build a house on a beach somewhere, most likely still on the outskirts of Calbayog, but you never know. Depending on the amount of money we could move just about anywhere if we chose to. Of course a nice beach house around here would not be so bad either. So keep an eye and ear out for more details. Personally I think just the one mall downtown along with the supermarket will be plenty for our area, but since no one is asking my opinion, I’ll have to go with the flow. We lived most of the last three year in Baybay Leyte and there is also a plan to build a Robinson’s mall there ,in addition to the already existing Gaisano’s Mall. They may have been set back also by the typhoon which did quite a bit of damage to Ormoc. I really enjoy your blog. On a side note I think I remember you saying you were from Temple. If so we were once neighbors as I am from Waco. Take care. Welcome to the comment section of the blog Richard. Since you say you like my blog I suppose you have been reading for awhile, but I’m glad you decided to finally leave a comment. You’re my first ‘new’ commenter in quite awhile. My wife’s relatives (mother’s side) are actually from Baybay … the Barrons. We have not been through there for quite awhile though. Yolonda set back quite a few things, but it seems they should be back on track by now. I only said Temple because that’s a city most people might have heard of. Since you are from Waco though, you would know where Belton is. That’s where I’m actually from. We should be making a trip back there this August, September or October, hopefully via Space A again. Well it’s good to know that another fellow Texan is reading my blog. I hope that it continues to bring you enjoyment and also help you out at times. I hope to see more comments from you on future posts. I do indeed know about Belton. Many years I’m sure you remember that visiting Texas will be a lot more enjoyable weather wise in October than August. My wife says she remembers a Varron family that was their next door neighbors but couldn’t remember a Barron family. Keep up the good work on your blog. Take care. Yes visiting Central Texas in October is much cooler than visiting in August, for sure. It works out for us because mid May to mid Sept are about the busiest times for traveling Space A and we need to travel when it’s not busy. Just a side note here, did you know that in Bagiuo City there is a teacher’s camp. Only people (and guests) with teacher ids are allowed in. Pretty nice place actually, at least it was when we stayed. Half the family here is/was teachers. I’ll try to keep up the blog. Sometimes it more difficult to do it. I’m expecting more things to write about soon, so maybe that will make me more motivated.